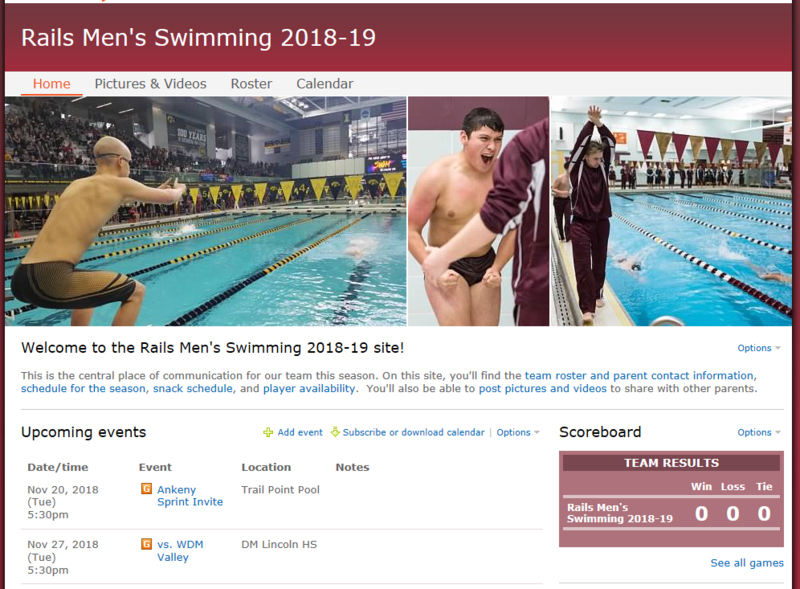 Team photo websites are specific to one season and houses photos from the meets and events throughout it. The photos found there are free to download and save to your computer. You can also order prints through Shutterfly directly or send the photos to your preferred photo printer. A link to the photo website can be found in the upper right hand corner of the website. You will be prompted to log-in, but can ask Shutterfly to remember your log-in information. We already added the emails that we have on file for the team this year. If you feel you should have access but don’t, you can request access from the log-in page of the website and we’ll try to add you as quickly as possible. One great thing about the photo website is that you can post pictures and videos to share with other parents. This allows a collection of photos from several people and viewpoints! Please note, if an album has already been created for a certain event/meet, please add photos to that album, rather than create a new one. Doing so makes it easier for everyone to see all the photos from a meet. You can do so by hovering over the “Edit” button for an album found under the Pictures/Videos menu item. There you’ll see an “Add Pictures” option. From there, Shutterfly will walk you through adding photos step-by-step. Looking for past photo websites? You can find them here on the team website. Look under Men’s Swimming > Photo Sites Archive. Remember that not everyone will have access to all sites since they stretch back to 2013. These past websites are a great resource for graduation party prep. Some even have a photo book saved that you can adapt or add to and have Shutterfly create for you.